Detective Elizabeth Butler, left, and Sgt. Loran "Butch" Baker were slain in a shootout in Santa Cruz on Feb. 26, 2013. The alleged gunman was later killed by responding officers. 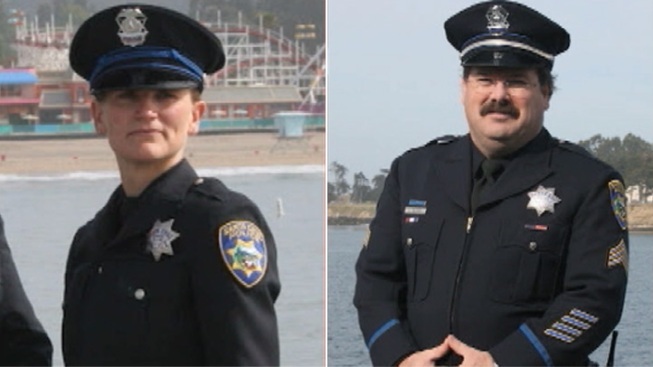 The families of two members of Santa Cruz Police Department killed in the line of duty in February released letters to the community Monday, expressing gratitude and appreciation for the support from complete strangers to well-known politicians. Santa Cruz police Sgt. Loran "Butch" Baker and Detective Elizabeth Butler were shot and killed the afternoon of Feb. 26 while following up on a report of misdemeanor sexual assault. The gunman, 35-year-old Jeremy Goulet, was later killed in a gun battle with authorities. 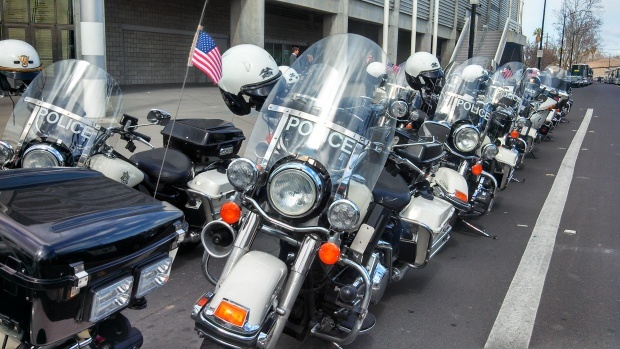 More than a month since their deaths and a large memorial service held at HP Pavilion in San Jose on March 7, the Police Department Monday shared letters from the slain officers' families. Butler's partner Peter Wu, her mother, Louise Butler, and her sister, Alexis Butler, wrote about the sadness of losing Elizabeth Butler. "We miss her terribly," the family wrote. However, they said despite the unbearable loss, the community has stepped up. "Yet almost every day of the past month has also included moments of awe and amazement at the love and honor paid to Elizabeth's memory," the family wrote. The family thanked Butler's two young sons, Stellan, 2, and Joaquin, 5, for reminding the family to stay healthy during the past month of mourning and into the future. The family also thanked other relatives, members of the Police Department including Chief Kevin Vogel, and the "hundreds of people who have sent us cards, scholarship funds, and gifts." "We have glimpsed in the outpouring of support from the people of Santa Cruz and surrounding cities that goodness will prevail and small acts of love will redeem our aching hearts," the letter read. The family reflected on the massive memorial that started with a procession through Santa Cruz before heading along state Highway 17 to the ceremony in San Jose. "As we traveled through the streets of Santa Cruz, the sight of hundreds of citizens with their hands over their hearts touched us deeply," the letter stated. Speakers at the memorial service included former U.S. Defense Secretary Leon Panetta, California Attorney General Kamala Harris, Vogel and Santa Cruz Mayor Hilary Bryant.